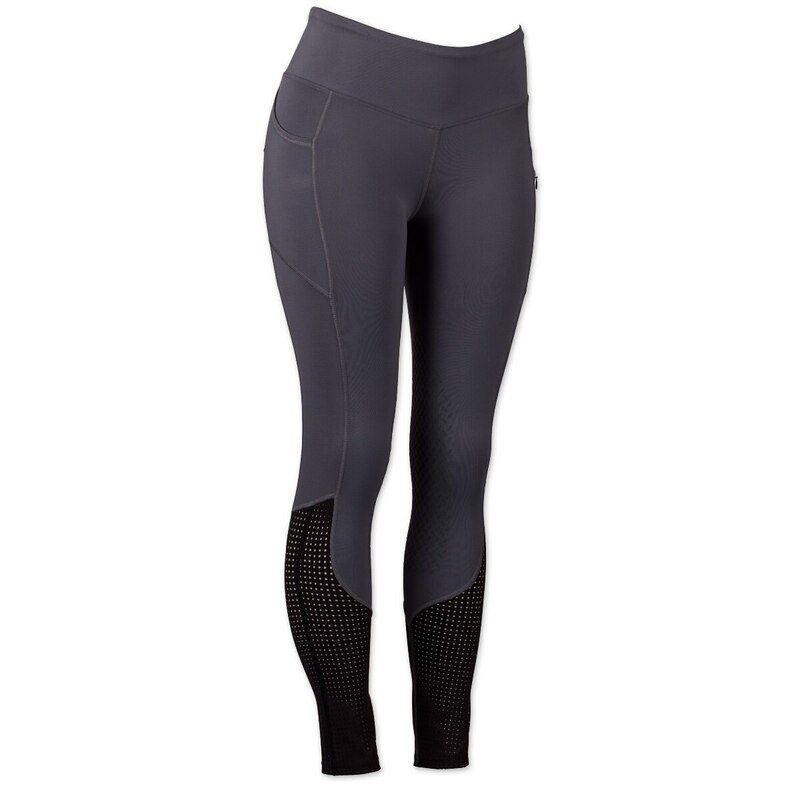 The Ariat Eos Knee Patch Tight has a sporty, barn to street modern tight styling. With Compressive 72% Polyester/ 28% Spandex and a comfortable wide waistband with zippered pocket in back, these breeches are super comfortable and will be a staple in your schooling wardrobe. 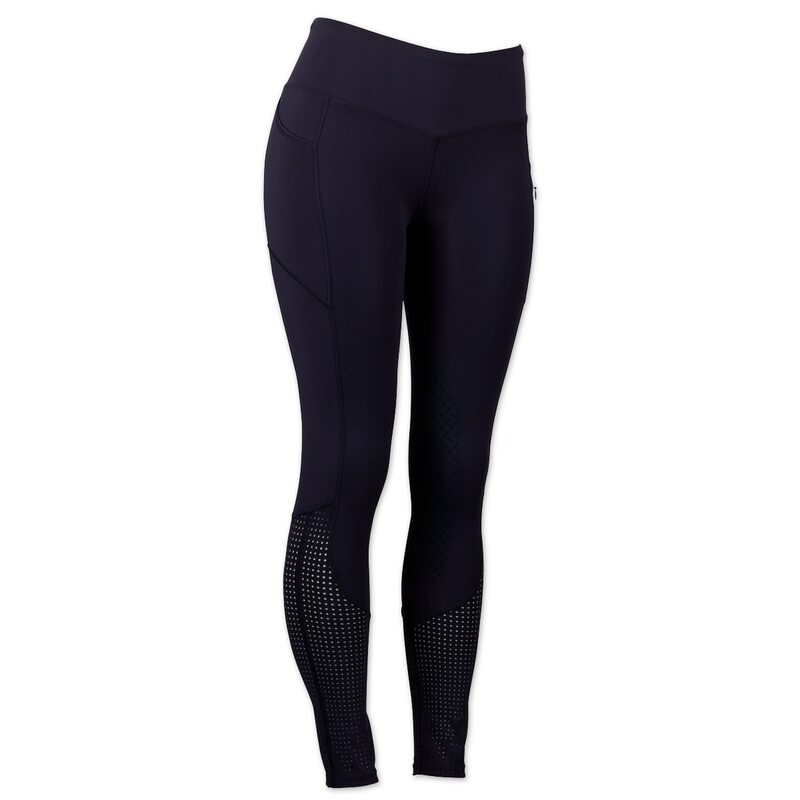 These tights also have two thigh pockets as well as perforated leg panels to ensure that your a comfortable fit. Additionally, they're super easy to care for- machine wash cold, line dry. Has a sporty, barn to street modern tight styling. 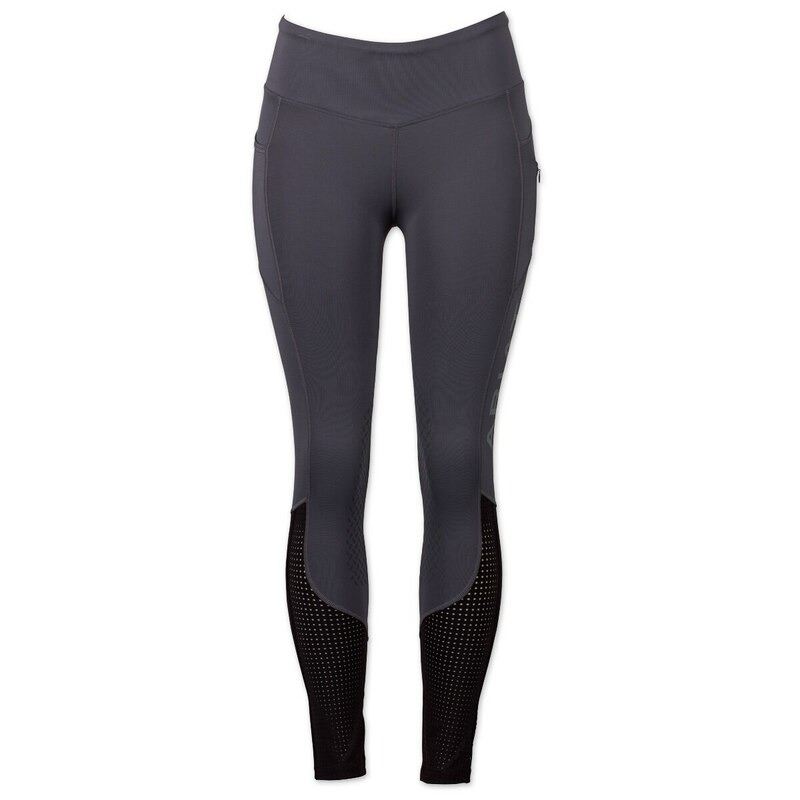 With Compressive 72% Polyester/ 28% Spandex and a comfortable wide waistband with zippered pocket in back, these breeches are super comfortable and will be a staple in your schooling wardrobe. 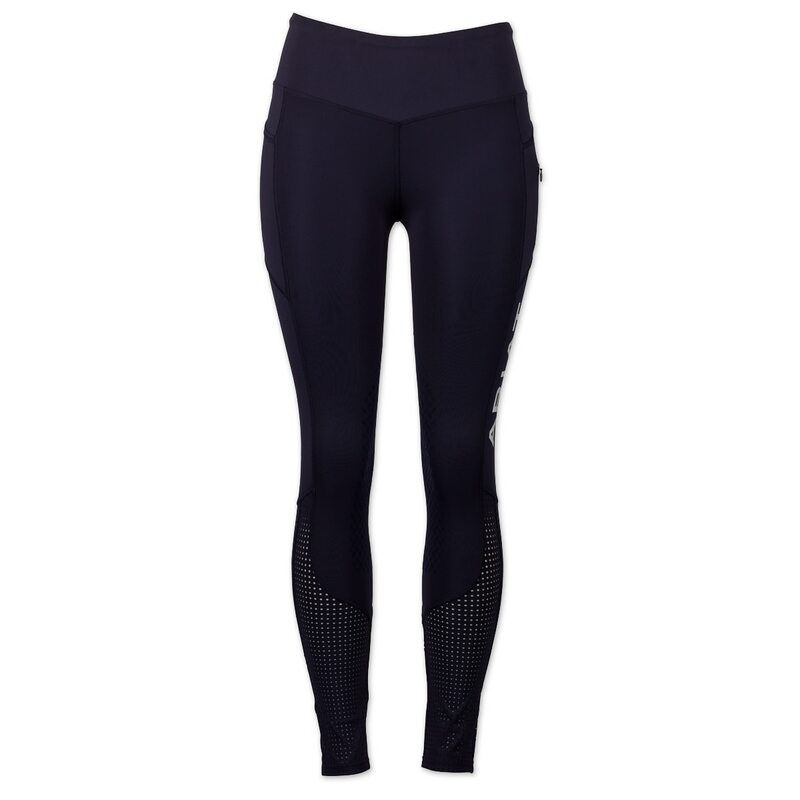 These tights also have two thigh pockets as well as perforated leg panels to ensure that your a comfortable fit.